Battery energy storage systems (BESS) have been steadily taking over the news. You may recall the 2017 commissions of supersize battery projects, such as the 120 MWh system in Escondido/Aliso Canyon, California, and Tesla’s ‘tweet-brokered’ 129 MWh battery in Hornsdale, South Australia. It’s been hard to keep track of all the giga- and mega-factories announced. And Hurricane Maria’s paralysis of the Puerto Rico’s electric power system has yet again indicated the need to redesign many of our grids using renewables and energy storage. All these projects, plans, and discussions have common drivers behind them – the price and scale that the Li-ion technology is reaching. Costs have dropped while the manufacturing capacity has gone up, both significantly. Battery energy storage at scale is now a real thing. In fact, it’s so real that the worldwide installed capacity in 2017 was around 1 GW (with Li-ion share >90%) and keeps climbing exponentially. Grid stability has been the number one application of BESS(2, 3). How important is it? Just consider the number of generators on the grid that are continuously turned up/down based on immediate power demand, plus everything unexpected in between. Stuff happens all the time. Due to a fast sub-second response, batteries (and capacitors) are the first ancillary service in line to tackle grid instabilities. Most commonly, they keep the network frequency within its strict limits (known as frequency regulation). This frequency is the key indicator of any power shortage or oversupply. Depending on ESS parameters, the power tends to be dispatched or stored at higher C rates (>1C). Duration of interventions range from milliseconds to minutes. Battery systems are also used as an operating reserve. If there is a sudden drop of electric supply, they often help bridging the time needed to bring an alternative large-capacity generation online (e.g. gas turbine or hydroelectric plant). Similarly, power from ESS can flow in and out of the grid depending on fluctuating changes in electricity consumption (known as load following). The timescales for these operations are 1-10s of minutes, usually at medium power (≤1C). Energy management is where Li-ion BESS is starting to ‘flex its muscle’(4). Actually, this is the true promise of energy storage – to decouple energy generation from demand. Grid storage allows for electricity to be produced whenever it’s cheap and dispatch whenever it’s needed (known as energy arbitrage). And so the power generation is more economic, the energy demand curve is more flat, and the grid is more stable. Ideally. At this point, the scale is what matters. Why so? Unlike in power-quality applications, here the energy is stored in bulk amounts and dispatched at high rate over long periods of time. For example, ESS can be charged early in the morning and discharged during the evening peak time. In numbers: 10-100s MW of power supplied for hours and hours (not surprisingly, that’s why the term “energy storage” has been predominantly referred to pumped hydropower). Battery ‘plants’ have grown big enough to deliver exactly that – time-shift of energy on a bulk scale. It’s called load shifting. Technically, this application requires batteries to handle long discharges at lower power levels (<0.5C). The chart depicts large utility-scale Li-ion BESS projects (>10 MW) commissioned worldwide in recent years (data source: DOE Global ES Database). 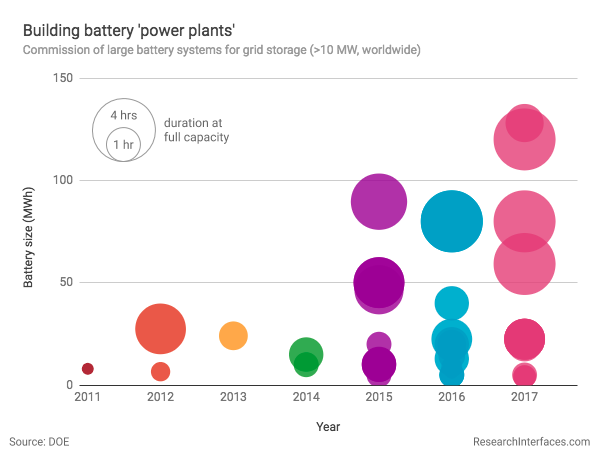 Trends indicate that the battery ‘plants’ have grown not only in number, but also in size (MWh) and duration. The concept of peak electricity demand is a familiar one. Occasionally (or daily, depending on the grid) the peak climbs up so high it requires a quick power injection from a peaker plant. Such an injection may be several hours long. 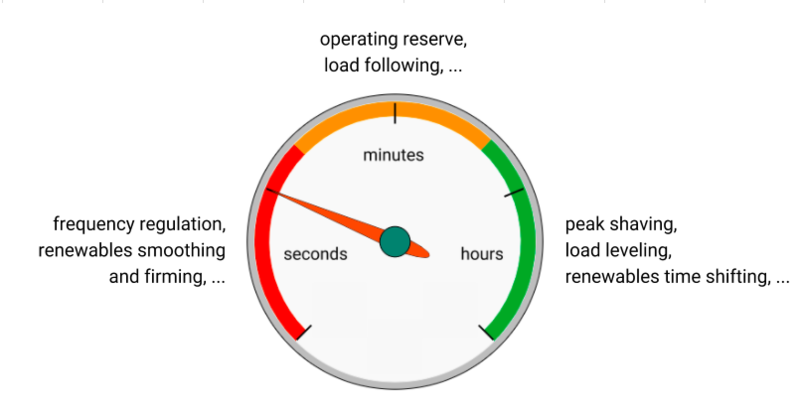 The peaker generators need to be sufficiently fast and large – often gas turbines with >10 MW output – but they end up operating only a few hours per day (or per month). And so it’s also the most expensive and CO2-heavy electricity on the grid. Premiums can come to as much as ~300x the base price. Many utility BESS are being designed to supply their maximum power for a few hours. The optimal duration varies based on the specific economic case and local regulations. For instance, in California it’s currently 4 hours. With an hours-long duration, batteries are able to either ‘shave’ some of that expensive peak demand (peak shaving) or even cover it completely (load levelling, not to be confused with load following described above). This means that battery storage might soon claim its first serious causality – peaker plants. In fact, GTM Research estimates it only will be a few years before these two will be able to compete head-to-head. And that is based on price, not emissions. Examples of BESS applications and their typical timescales. If you are getting confused about the grid terminology, this Electropaedia explains them in more details. Li-ion technology is a good match for renewable power generation(3, 4). The main reason – because it’s extremely flexible. Renewable energy, on the other hand, has zero flexibility and is extremely variable. Moreover, the variability is at two time scales – short-term (seconds-minutes), caused by immediate changes in sunlight or wind intensity, and long-term (hours), determined by the time of the day and availability of any sunlight or wind at all. But, as already discussed, batteries can handle both. 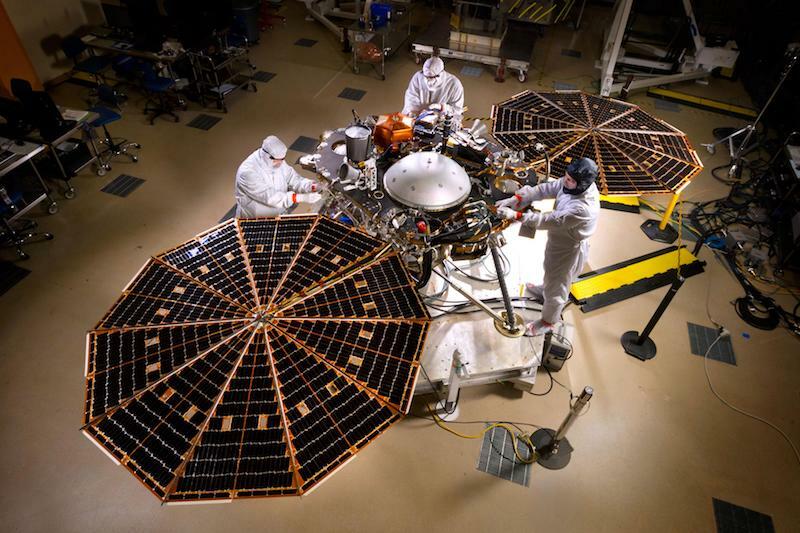 Initially, they were deployed to perform the fast reactive renewables smoothing and firming. Now, they are increasingly used for long scheduled storage, called renewables time shifting. Did you know Tesla’s battery in Hornsdale, South Australia is attached to a 315 MW wind farm? No doubt this is only the start to a powerful complementarity between renewables and BESS. For more detailed market forecasts, see IRENA’s recent analysis. 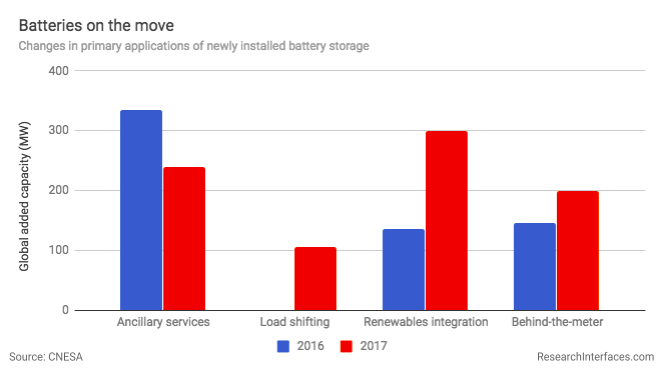 Changing primary applications of battery ESS added to the grid in 2016 and 2017 (data replotted from CNESA). One can notice the expansion from mainly ancillary services (in 2016) to load shifting and renewables integration (in 2017). To be honest, there is one more time variability of renewables – seasons. And electricity demand changes seasonally as well. Such long-long-term storage has never been a big strength of electrochemical devices (mainly due to self-discharge)(5). And the required scale and pricing make this application still a little out of reach. Utility-scale battery storage means 100s of tons of reliable technology at low cost. This currently disqualifies many ‘state-of-the-art’ Li-ion chemistries, including high-performance Si-based anodes or Ni-rich cathodes designed for electric supercars (for more information on the latest cathode technology for EVs, read our in-depth article on NMC 811). 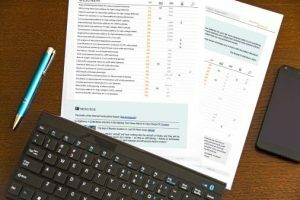 In most cases, the requirements are actually fairly conservative – decent $/kWh ratio, moderate power performance, long-term cycle/calendar stability, and safety. NMC (nickel manganese cobalt, LiNixMnyCozO2, also called NCM) has been the most prominent cathode material and is quickly becoming the standard of the energy storage industry. Its balanced elemental compositions, such as Ni:Mn:Co ~1:1:1 (labeled as NMC 111 or NMC 333) or 5:3:2 (NMC 532), deliver pretty much everything one could ask for – $/kWh, power, stability, and safety (note: this is not the case for high nickel EV variants 622 and 811)(8). The material can also be blended with cheaper LMO (LiMn2O4) to lower costs. NMC cells are used by many top ESS battery manufacturers, including LG Chem, Samsung, Panasonic, and Kokam. LFP (lithium iron phosphate, LiFePO4) is another popular cathode choice, mainly due to its stability and safety. A major drawback is its lower energy density and therefore higher overall cost/kWh. Key manufacturers of LFP cells for grid storage are BYD and NEC. Graphite remains the first-choice anode material thanks to its low cost and balanced performance. Despite that, graphite has a relatively low theoretical capacity and low cycling stability (caused primarily by side reactions with the electrolyte), which motivates researchers to look into alternatives. LTO (lithium titanate, Li4Ti5O12) has been a step towards improved stability, safety, and power performance. Nevertheless, LTO cells have a lower energy density than graphite and are also more expensive. This technology has been used for large-scale storage only rarely. The electrolyte composition depends on the selected anode/cathode combination. The main development trend has been towards stability and safety, such as substituting traditional organic liquids for solid/gel polymers. If you want to see an example of how such commercial cells operate under different cycling and storage conditions, check NREL’s test of large 75 Ah Kokam cells for ESS (NMC/graphite with polymer electrolyte(9)). Manufacturers have used various cell formats for BESS – prismatic, pouch, and cylindrical(7). The gravimetric and volumetric density of the cells is not as important as it is for EVs. What is more important is their safety and heat management. Grid battery systems are very modular(7). Cells are assembled into modules, modules are mounted into cabinet racks (mostly 19-inch), and racks are installed into a standard-sized container (mostly 40 feet long). Containers typically store 1-5 MWh of energy. A large battery ‘plant’ is essentially a bunch of containers. This modularity is not only good for BESS customization, but also for the control and maintenance down to the single cell level. Examples of ESS units from the leading manufacturers (data have been collected from their website brochures, dated 2017-2018). Batteries are controlled at different levels using battery management systems (BMS). The ‘slave BMS’ controls individual cells within the module. The ‘master BMS’ supervises multiple slave modules within the rack. The ‘system BMS’ rules them all. The thermal management system (TMS) is responsible for everything temperature-related. Containers are usually air-conditioned, so the individual cells are not influenced by the ambient climate. In addition, each unit has various monitoring/control elements, including the power conversion system (PCS) with AC/DC inverters. On top of the hierarchy, there is the energy management system (EMS) taking care of the overall power flow and distribution. Finally, the BESS is coupled to the higher grid voltages using a transformer. For a closer look into operation of such battery container, check out this paper by TU Munich and NREL(10). Are there enough batteries for BESS and EVs? We should have enough batteries for the BESS market as well as the EV market. In fact, the number of cells deployed in large-scale grid projects is still relatively small. Here’s a basic illustration: Tesla’s ESS plant in South Australia was made of ~130 MWh of batteries. That same year (2017), Tesla produced more than 100,000 cars – most of them Model 3 and Model S with battery packs of 50-100 kWh each. How about averaging it at 75 kWh/pack? The EV cell demand would then be approximately 7,500 MWh. And that is ~60 times more than the size of the South Australia plant. The ratio roughly represents the scales at which BESS and EV markets are at the moment. It is likely that the battery demand for ESS will grow rapidly, but so will the manufacturing output. Predicting how ESS and EV markets would compare over time would require predicting the relative positions of many moving targets(11). Moreover, these targets are implicitly coupled – because it won’t be long before the vehicle-to-grid (V2G) concept kicks off.